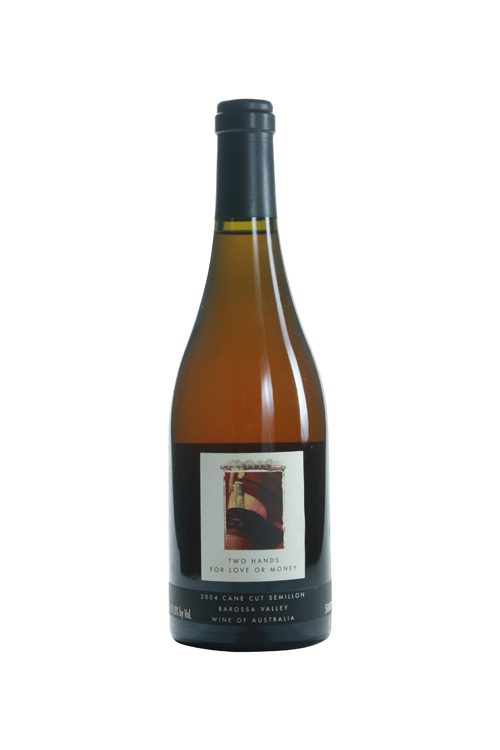 Although Two Hands’ sweet wines do not quite measure up to the other strong cuvees, the 2004 Semillon Cane Cut For Love or Money is a very good effort. Medium to full-bodied with attractive honeyed sweetness, the wine possesses some funk and disjointedness. I have a slight preference for the Cane Cut Love or Money as it offers more waxy, honeysuckle, and tropical fruit notes along with a touch of botrytis than the Vin de Paille. This brilliant operation is a credit to the meticulous winemaking of Michael Twelftree and his staff! Semillon's contribution to quality wine often goes by unrecognized, however due to its base in Bordeaux and migration to the New World it was, at one point, the most planted variety. While its role as a varietal wine is diminishing it is still an important component in the famous dessert wines of Sauternes, and is increasingly being used in dry whites adding complexity to the Sauvignon Blanc and sometimes Chardonnay. One of the exceptions are the producers of Hunter Valley (Tyrell's and Brokenwood to name a few) in Australia who continue to carve out exceptional examples capable of long bottle maturation of more than 10 or 20 years.